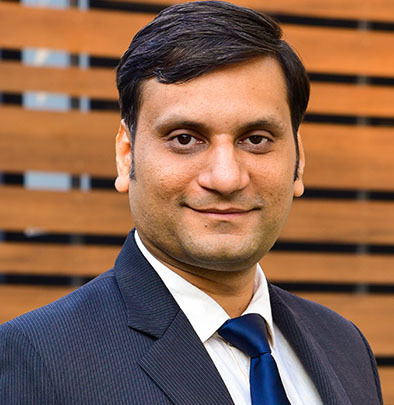 Nitish is a Senior Manager in MSC’s Inclusive Finance and Banking domain in India. He is a financial inclusion consultant with extensive experience gained through projects with multi-lateral agencies, central banks, banks and financial institutions, microfinance institutions, remittance companies, community-owned organisations, and digital finance service providers in Bangladesh, India, Kenya, Myanmar, Qatar, the Philippines, Sri Lanka and Vietnam. Nitish has implemented projects involving financial inclusion strategy development, strategic business planning, digital transformation strategy development, market research, product development, digital microfinance, MSME finance, financial capability development, microfinance operations, agent network management, implementation and evaluation of government benefit transfer programmes, channel satisfaction surveys and training. Some examples of his recent work include: ➢ Strategic Business Planning for HNB Grameen Finance in Sri Lanka, funded by HNB Grameen Finance Limited: conducted brief market assessment, facilitate strategy workshop with the senior management, and support development of three year institutional strategic plan and implementation plan. (2017) ➢ Training on Digital Transformation for Financial Institutions in Myanmar, funded by IFC: facilitated training with the senior management of bank and financial institutions on digital transformation plan and implement roadmap in Myanmar. (2017) ➢ Study on Cash-lite Practices among MFIs in India, funded by MFIN: conducted a study to understand the ‘as-is’ situation of adoption of cash-lite models by microfinance institutions in India, and recommended measures for different stakeholders to accelerate adoption of cash-lite operations. (2017) ➢ Digital Transformation Strategy Development for CoopBank, funded by Metlife Foundation: developed institutional digital strategy to adopt cashless and paperless products and services. (2017) ➢ Demand and Supply-side Assessment for the Development of National Financial Inclusion and Financial Literacy Strategy in Qatar, funded by Qatar Central Bank: supported national level survey to assess the existing status of financial inclusion and financial literacy among different population segments living in Qatar, conduct an assessment of the perspectives of supply-side stakeholders including regulators, policy makers, and financial service providers to understanding their current initiatives to promote financial inclusion and their role in the development and implementation of the financial inclusion and financial literacy strategy. (2017) ➢ Accelerating Financial Inclusion in the Philippines with Digital Finance funded by Asian Development Bank: conducted an assessment of the Philippines financial inclusion market with a view to understanding the extent of the financial inclusion challenge, key constraints preventing financial inclusion, how digital can remove constraints and how the regulator can create an enabling environment for digital finance initiatives. (2016) ➢ Understanding Financial Behaviour of ‘Emerging Middle Class’ Customer Segment in the Philippines, funded by Visa Foundation: conducted a desk review of socio-economic profile and financial behaviours, including attitude towards digital finance, of emerging middle class customer segment in the Philippines. (2016) ➢ Technical Assistance to Maitreya Capital on MSME Finance in India, funded by Michael and Susan Dell Foundation: facilitated strategic planning workshop with the senior management team, review and suggest improvements to operational processes, design product and process training module and deliver training to the middle management and frontline team, and design financial literacy module for customers. (2016) ➢ Strategic Business Planning for a Remittance Company in The Philippines, funded by Opportunity International Australia: facilitate a strategic planning workshop and support the management team of OK Remit and its partner MFIs to develop a three-year business plan. (2016) ➢ Costing and Pricing of Microfinance Products and Services in the Philippines: facilitate a training for senior and middle management of ASKI on MicroSave toolkit for costing and pricing of microfinance products and services and conduct a costing and pricing exercise for their existing products and services. (2016) ➢ Strategic Assessment of Agent Network in the Philippines, Chemonics, funded by USAID: contextualise the assessment framework for the Philippines market, carry out the assessment, identify gaps, and recommend strategies to build and maintain efficient agent network to support digital financial services. (2015) Before joining MSC, Nitish was an Area Manager at SKS Microfinance Ltd. and was responsible for the management of microfinance loan portfolio of around USD 10 million spread across 58,000 clients. Nitish oversaw operations covering 17 branches in five districts of western Madhya Pradesh. He has a Post Graduate Diploma in Forest Management from the Indian Institute of Forest Management in Bhopal. He is fluent in Hindi and English. The opportunities and challenges form Small Finance Banks is enormous in the financial inclusion market in India. The authors have elaborately discussed some of them. The blog highlights the benefits of the new partnership emerging between digital financial service providers and microfinance institutions to address the challenges of financial access among the un/under banked populations globally. MicroSave implemented an Alternative Financial Education programme (AFE) at one of the biggest MFIs in north India. The tool based was based on the principle of product-led financial education, the programme delivery was embedded in the existing operational structure of the MFI, and the tools were designed using SWITCH behavior change framework. Is financial education or financial literacy a branding problem? Here the authors suggest some alternative ways to make FE more meaningful and useful for end clients. In this Briefing Note we discuss areas that we think were critical to the design of the financial education programme – the essential ingredients. This Note presents the case of ASKI, a development NGO in the Philippines, which grappled with these issues and how it developed a corporate branding strategy.